Traxamillion is a hip hop producer from San Jose, California. He has produced records such as Keak da Sneak's "Super Hyphy" and Dem Hoodstarz "Grown Man Remix". His first album, The Slapp Addict, was a compilation of Bay Area hyphy artists. was released August 22, 2006. Hip hop production is the creation of hip hop music in a recording studio. While the term encompasses all aspects of hip hop music creation, including recording the rapping of an MC, a turntablist or DJ providing a beat, playing samples and "scratching" using record players and the creation of a rhythmic backing track, using a drum machine or sequencer, it is most commonly used to refer to recording the instrumental, non-lyrical and non-vocal aspects of hip hop. San Jose, officially the City of San José, is an economic, cultural and political center of Silicon Valley, and the largest city in Northern California. With an estimated 2017 population of 1,035,317, it is the third-most populous city in California and the tenth-most populous in United States. Located in the center of the Santa Clara Valley, on the southern shore of San Francisco Bay, San Jose covers an area of 179.97 square miles (466.1 km2). 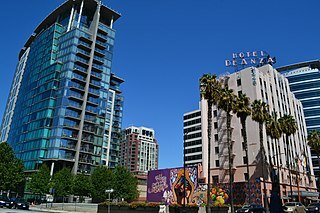 San Jose is the county seat of Santa Clara County, the most affluent county in California and one of the most affluent counties in the United States. San Jose is the most populous city in both the San Francisco Bay Area and the San Jose-San Francisco-Oakland Combined Statistical Area, which contain 7.7 million and 8.7 million people respectively. Charles Kente Williams (Bowens), commonly known by his stage name Keak da Sneak, is a rapper from Oakland, California; He is known for his scratchy, gruff voice and for coining the term hyphy in 1994. He is the leader of the Hyphy Movement, which was generated in the early and mid 2000s with hits like "Super Hyphy", "White T-shirt, Blue Jeans, and Nikes", and his major hit feature with E-40 "Tell Me When To Go". Traxamillion has also released a mixtape called The Slapp Addict Mixtape, which features mainstream artists as well as local Bay Area artists, and is responsible for producing the remix of "About Us" by Brooke Hogan featuring E-40. In addition to being a producer, Traxamillion also raps, which he demonstrates on tracks such as "Bring It Back" and "Skrape" on The Slapp Addict. His song "The Movement" is featured on College Hoops 2K7 . Brooke Ellen Bollea, better known by her stage name Brooke Hogan, is an American reality television star, actress, singer-songwriter, media personality, and former on-screen personality for Impact Wrestling. She is the daughter of professional wrestler Hulk Hogan. Brooke took an early interest in music, and began working on her first studio album in 2002. In an attempt to promote her music career, Hogan and her father appeared in a one-hour special on VH1. The special proved to be a ratings success, leading to Hogan and her family starring in the reality television series Hogan Knows Best (2005–07). The show saw a then teenage Brooke struggling with her overprotective father and recording her debut album. Her first studio album, Undiscovered, was released in 2006. It was preceded by the single "About Us", which entered the top-forty of the Billboard Hot 100 chart. Earl Stevens, better known by his stage name E-40, is an American rapper and actor. He is a founding member of the rap group The Click, and the founder of Sick Wid It Records. He has released twenty-seven studio albums to date, appeared on numerous movie soundtracks, and has also done guest appearances on a host of other rap albums. Initially an underground artist, his 1995 solo album In a Major Way opened him up to a wider audience. Beginning in 1998, he began collaborating with more mainstream rappers outside the Bay Area. He rose to even higher mainstream popularity in 2006 with his single "Tell Me When to Go" which was produced by Lil Jon. In 2010, Traxamillion signed with 454 Life Entertainment after producing the label's second single "We Get Money" by Drew Deezy and Thai VG featuring Glasses Malone. He went on to produce a majority of the label's compilation album "As Real As It Gets." Charles Phillip Ivory Penniman, better known by his stage name Glasses Malone, is an American rapper from Los Angeles, California, United States. Dominick Newton, better known by his stage name The Jacka, was an American rapper from Pittsburg, California. The Jacka began his career as part of the rap group Mob Figaz, whose first album, C-Bo's Mob Figaz, was released in 1999. Newton converted to Islam at a young age and changed his name to Shaheed Akbar. On February 2, 2015, he was fatally shot by an unidentified gunman in Oakland on 94th Avenue and MacArthur Boulevard. Prior to his death, he owned his own label The Artist Records. Quincy Brooks IV, better known by his stage name San Quinn, is an American rapper from San Francisco, California. He is the cousin of Messy Marv, Stevie Johnson, and Ya Boy. Stanley Petey Cox, best known as Mistah F.A.B., is an American rapper, singer-songwriter, record producer, entrepreneur, community organizer and activist. Mistah F.A.B. is a backronym for "Money Is Something to Always Have — Forever After Bread." 2007: "Somebody Like You" (Chantelle Paige feat. Traxamillion) (he co-wrote and produced the track as well). Chantelle Paige Mulligan known professionally as Chantelle Paige, is an American singer-songwriter, actress and travel blogger. She is a former member of the R&B/rap group Flipsyde. Roderick is a Germanic name, recorded from the 8th century onward. Its Old High German forms are Hrodric, Chrodericus, Hroderich, Roderich, Ruodrich (etc. ); in Old English language it appears as Hrēðrīc or Hroðrīc, and in Old Norse as Hrǿríkʀ. The term hyphy is Oakland slang meaning "hyperactive". More specifically it is an adjective describing the music and the culture associated with that area. The term was first coined by Oakland rapper Keak da Sneak. "Tell Me When to Go" is the first single from E-40's BME/Warner Bros. debut, My Ghetto Report Card. Keak da Sneak is also featured on the track. It was produced by Lil Jon, and one of the first singles to kick off the hyphy movement on a national level and popularized the phrase "ghost ride the whip". The song reached #35 in the U.S. and eventually was certified Gold by the RIAA. Earl Stevens Jr. better known by his stage name Droop-E, is an American rapper, and producer. He is the son of the Bay Area rapper E-40. The Outsider is the third studio album by American hip hop producer DJ Shadow, released on September 19, 2006 by Universal Motown Records. The album departed dramatically from Shadow's signature instrumental hip hop sound and covers a large range of styles and genres, including hyphy, indie rock, blues, spoken word, punk rock, and pop rap. Turf Talk, is a Bay Area rapper at the forefront of the hyphy movement. His unique style of delivery has earned both local and national acclaim. Turf Talk is the protégé and cousin of platinum-selling Bay Area pioneer and legend E-40, and is signed to his mentor's Sick Wid It/30/30 Records. Jovan Smith, better known by his stage name J. Stalin, is a rapper from the Cypress Village housing projects in West Oakland. In 2007, he signed to Zoo Entertainment Production Company run by artist Mekanix, who described his style as a variant of Hyphy known as "Go". He is also the Owner of Livewire Records, President of Town Thizzness ENT, which is a sub-division of the late Mac Dre's Thizz ENT. Deified is a solo studio album by American rapper Keak da Sneak. It was released on February 19, 2008 via AllNDaDoe/Koch Records. It features guest appearances from Celly Cel, Chingo Bling, Clyde Carson, Daz Dillinger, E-40, Lil' Keke, Messy Marv, Mistah F.A.B., Paul Wall, Prodigy, San Quinn, The Alchemist, The Jacka and Too $hort among others. The album sold 3,800 copies in its first week on shelves, debuting at #196 on the US Billboard 200 chart. Steve Davison, better known as PSD, PSD Tha Drivah or Stevie Dee, is a rapper and producer from Vallejo, California, US, who is closely associated with the late Mac Dre and his record label, Thizz Entertainment. Da Bidness is an album released by the Bay Area rappers, PSD, Keak da Sneak and Messy Marv. It was released on February 13, 2007, for Thizz Entertainment, SMC Recordings and Gateway Records and was produced by the prominent Bay Area producers Traxamillion, Droop-E, Rick Rock, Jake and the Phatman as well as PSD himself, Clipto, Indo & Fireworks, Lev Berlak, Tha Rolla and Don Juan. The collaboration proved successful and charted on three Billboard charts, peaking at #82 on the Top R&B/Hip-Hop Albums, #40 on the Independent Albums chart and #12 on the Top Heatseekers. Two singles were released from the album, "Cus, Cus" and "That Go", though neither made it to the charts. Various other Bay Area rappers contributed to the album including E-40 and San Quinn. Ghostride the Whip is a documentary film, executive produced by Academy Award nominee Peter Spirer of Rugged Entertainment, that takes the viewer into the world of this phenomenon that started in San Francisco's bay area several years ago. At times, through a historical perspective, the film brings to light the elements and trends that may have been responsible for the origins of ghostriding. The documentary also explores the demographic that most appeals to this art form and the lifestyles of those that regularly participate in it. The Slapp Addict is an album by producer and rapper Traxamillion. He produced the album himself, and it was released August 8, 2006. Thizz Iz Allndadoe is a solo album released by rapper, Keak da Sneak. It was his first for Thizz Entertainment, one of the largest Hyphy labels in California. Max Perry, primarily known by his stage name Maxwell Smart is a record producer, born in New York City and raised in Brooklyn, New York. The Best of Mac Dre is the first "best of" album by Mac Dre. It was released in 2002 by Sumo/Thizz Entertainment ©. It is the first compilation of his hit songs, later followed by The Best of Mac Dre, Vol. 2 & 3. Though Mac Dre was killed by gunshot on November 1, 2004, his Bay Area legacy lives on through his music. This album features other Bay Area hip hop legends such as Keak da Sneak, Messy Marv, and San Quinn. This is the discography of American rapper Messy Marv. Ned Cameron is an American producer, singer, songwriter from San Francisco, CA. ↑ "Archived copy". Archived from the original on 2011-01-07. Retrieved 2010-06-29.
produced "glamorous lifestyle" on "Tear Gas" by "the Jacka"